Andrew Puzder, President Donald Trump’s pick to be the secretary of labor, has dropped out of his confirmation hearings amid scandals about his past. "While I won't be serving in the administration, I fully support the president and his highly qualified team," Puzder said in a statement. Puzder had lost support among Senate Republicans, with four GOP senators saying they would not vote for him, and up to eight more saying they were thinking of not voting for him, CNN reported. As shown during the confirmation vote for Secretary of Education Betsy DeVos, Trump’s Cabinet picks cannot afford to lose more than two GOP votes. 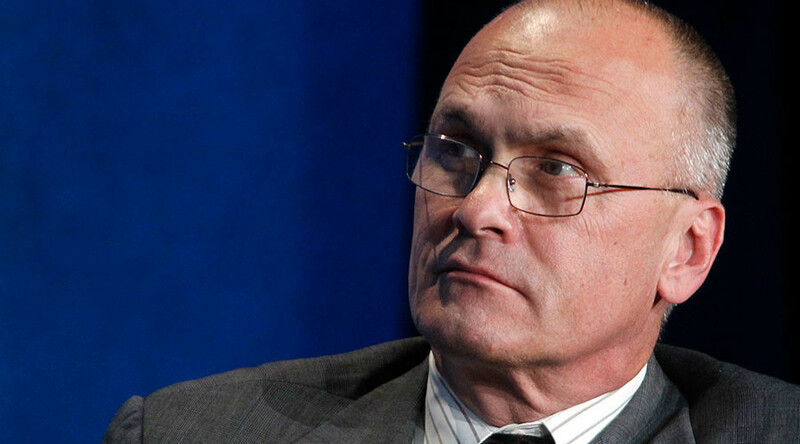 Last Tuesday, Puzder admitted that he had previously employed an undocumented immigrant for years. He only recently paid back taxes on the employee, as well as filed all required paperwork for her. He had a high-profile divorce 30 years ago that included claims by ex-wife Lisa Fierstein that he abused her. On Monday, the Oprah Winfrey Network distributed a copy of Fierstein’s 1990 appearance on “The Oprah Winfrey Show” detailing her abuse to the Senate. Puzder, the CEO of a fast-food holding company, was a controversial choice even before his past resurfaced. The billionaire was a major Trump campaign contributor and has been a harsh critic of raising the federal minimum wage, arguing that it would increase costs for consumers and lead to fewer jobs. He is supportive of Trump’s plan to lower taxes for corporations and the wealthy, and loosening regulations for business. Senate Minority Leader Chuck Schumer (D-New York) issued a statement Wednesday against the nominee ahead of Puzder’s decision to withdraw from consideration. "No matter how you cut it, there is no worse pick for labor secretary than Andrew Puzder, and I'm encouraged my Republican colleagues are starting to agree," Schumer said. "He does not belong anywhere near the Labor Department, let alone at the head of it. 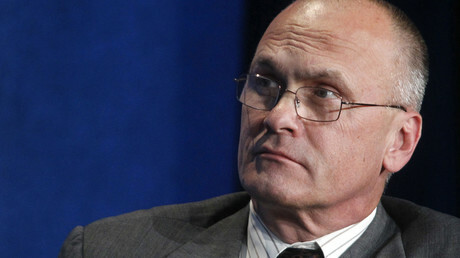 Puzder's disdain for the American worker, the very people he would be responsible for protecting, is second to none." Senators Bernie Sanders (I-Vermont) and Elizabeth Warren (D-Massachusetts) also spoke out against Puzder on Wednesday. Puzder’s withdrawal is the second major blow for the Trump administration in three days. On Monday night, retired General Michael Flynn was forced to resign as national security advisor after the White House said the president’s trust in him “eroded” over what Flynn told administration officials about his conversation with the Russian ambassador on sanctions. Another administration nominee, Vincent Viola, dropped out of consideration to be secretary of the Army on February 3, saying that it was too difficult for him to extricate himself from his business holdings in accordance with government rules against profiting from federal contracts. During President Barack Obama’s eight years in office, three Cabinet picks withdrew, compared to two under President George W. Bush and five under President Bill Clinton. Two of Clinton’s nominees and one of Bush’s dropped out after it was revealed they had employed undocumented workers.